Whether you plan to launch the next multi-million dollar business or have plans for something a little smaller, your company needs to acquire the right set of resources to accomplish your goals an either launch your business or take it to the next stage of development. There are plenty of resources out there for business owners who need angel investors, venture capital or just want to polish their elevator pitches to help them get up and running or expand. But what if you don’t need (or even want) all of that? What if you just want to pursue your BIG business dream without getting caught up in the complicated world of raising investment dollars? 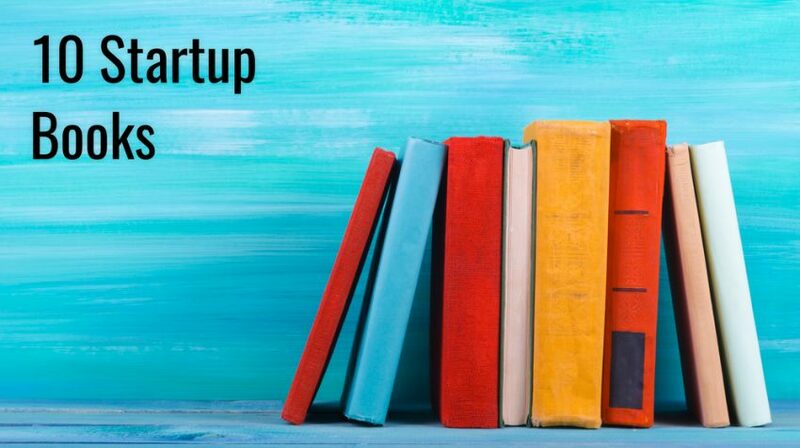 We’ve got a list of business startup books you should read. One of the biggest issues when starting a small business is, in fact, taking care of all the details. As a business owner, you are responsible for filling out the right paperwork and paying the right fees to the right people so you can stay in business. Written by business taxation expert, Bernard B. Kamoroff, this comprehensive, beginner-friendly guide walks readers through the information they will need to obtain the proper permits and licensing, set up bookkeeping, and pay taxes at the local, state, and federal level. In addition, the book covers tax and business planning information for doing business in the new “gig” economy including starting a work-at-home business, working with your spouse, working with freelancers and even working within a work-owned collective. 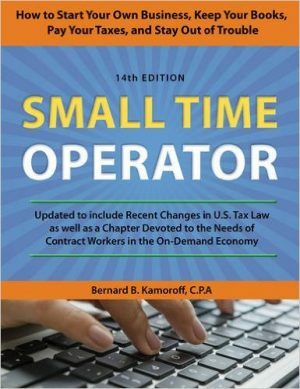 Small Time Operator is a must have for small business owners who need help laying the financial groundwork for their own home businesses, who own a small local business or franchise, who run a husband-wife partnership, or do anything else in between. What if you want to own a business by yourself? While working by yourself might seem like the ideal situation for any over-achieving person with drive and a good business idea, that doesn’t mean it’s easy. Clarity for Solos was written to help with those difficult times. Written by Adam Dudley, a productivity coach and solopreneur himself, the book offers practical strategies for dealing with the mental and emotional chaos that can ensue in you business when the entrepreneur in charge (that’s you) is getting overwhelmed. 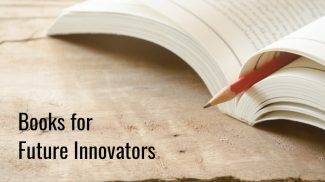 Readers will find tips on reigniting your dedication to your business, strategies for improving productivity and methods for refining your business to develop a better work-life balance. 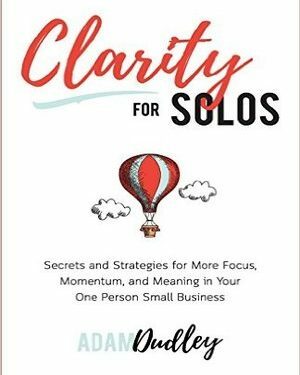 In “Clarity for Solos”, Dudley taps into his own personal experience and coaching with other solopreneurs to provide a book that is tailored for the solo professional who is simultaneously in charge of their business dream and of the path to get there. Performance is the one thing that separates great businesses from good ones. How do businesses perform well? It starts with the day-to-day activities and decisions of the staffs in those businesses. 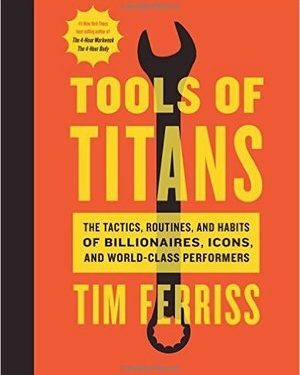 In Tools of Titans, author Tim Ferriss delves into the same topics as he does in his highly-acclaimed podcast but on a deeper level. Ferriss, writer of one of the best-selling business books in modern times that revolutionized the world of work The 4-Hour Workweek, offers a peek into the life of the habits and routines of world-class performers. Some of the people quoted in this book include Tony Robbins, Daymond John, Morgan Spurlock and Seth Godin, all interviewed with the insightful depth and quirkiness for which Ferris is known. Throughout the book, Ferriss takes some time to break down how these habits and routines can be adapted to your life. For any fan of Ferris or of productivity in general, “Tools of Titans” offers a unique perspective of performance by taking an overview of success and mapping out a path to help the reader duplicate it. It is said that everyone has at least one idea that could become a profitable business. 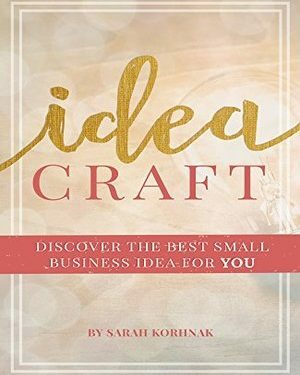 If you’ve ever seriously considered turning that business idea into a business reality, Idea Craft can help guide you through the incredible array of options out there to find the perfect business that works for you. The first part of the book helps solidify and narrow your potential business dreams into something that matches your personality. (Note: A business, no matter the size, must match your lifestyle and personality in order to work and scale.) Following that, the next two sections focus on taking that dream and shaping it into a viable business that can grow and evolve along with you. The co-host of a business podcast for mompreneurs, author Sarah Korhnak uses her life’s story and experience to help any prospective entrepreneur find and define their business idea into a viable and profitable business reality. Despite all of the high-tech innovation that is fueling business, entrepreneurship is and will always be about relationships. 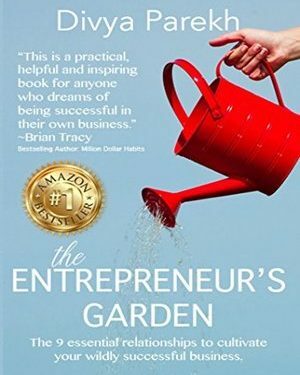 In The Entrepreneur’s Garden motivational speaker and leadership coach Divya Parekh helps readers understand how relationships impact everything in their personal and professional lives. Parekh uses the fictional story of Sally and Dee to illustrate her point. Dee serves as a mentor to Sally as she struggles to maintain the relationships she has with the people (like partners) and resources (like money) in her life. Through their interaction, Sally comes to learn that these relationships aren’t an obstacle, strain or something on a to-do list in her entrepreneurial journey. They are a part of that journey. In order to succeed in her personal and professional life, she has to cultivate those relationships. And by learning to do the same, every entrepreneur will be able to live a full and proactive life leaving a legacy and planting seeds of inspiration to motivate others. Thus every entrepreneur’s legacy is to motivate others who continue in the pursuit of excellence he or she began. As discussed in Small Giants, the business world has become obsessed with the “growth treadmill”. It’s all about getting the most money, the most customers and the most attention in the quickest amount of time. Is this chase on the “growth treadmill” actually leading to a sustainable profitable business, however? Not necessarily as journalist and editor Bo Burlingham found out. 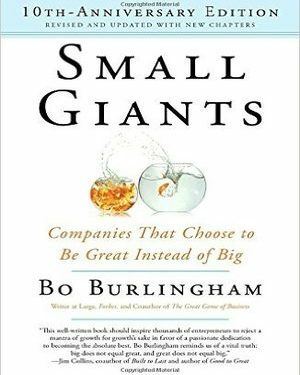 In “Small Giants”, Burlingham explores the decisions and consequences of business leaders who decided to step away from the “growth treadmill” and instead chase excellence. Burlingham explores the history and (most importantly!) the series of decisions that caused these leaders to “opt out” of the traditional approach to growth. The companies discuussed include Anchor Brewing, a microbrewery with roots starting in the 19th century, and Zingerman’s Deli, a small deli that became famous for its food as well as for the long lines waiting to get that food. In striving for excellence instead of for the more traditional definition of growth, Burlingham suggests these small businesses decided to become big where it counts, with their customers. As a business owner, you earn profits by always striving for more. You either get more customers or a greater share of their wallet. For those business owners looking for a greater “wallet share”, Superconsumers, by expert growth strategist Eddie Yoon, suggests a strategy he believes has the greatest chance of success. That strategy is to target something Yoon calls the “superconsumer”. Superconsumers are the dedicated users of your product or service who integrate your business into their personal or professional lives at a deeper level of commitment than the average customer. Although the superconsumer resides at the very top of the sales funnel, they have a large (and growing) influence on businesses. Yoon, who claims to have helped companies earn over $1 billion in profits, shows businesses how they can leverage this new breed of “consumer” to achieve a deeper “mind share” of the customer base as a whole. 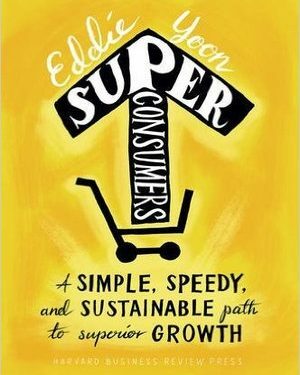 From there, “Superconsumers” shows readers how to maintain that culture so that more and more customers cross the line into the “superconsumer” category. 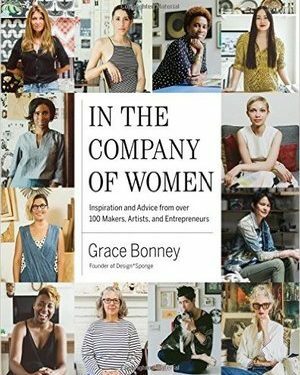 Written by design blogger Grace Bonney who created a design blog generating over 75,000 daily views, In the Company of Women invites readers into the world of female entrepreneurship in the creative economy. The book shares how women all over the globe are tapping into their creative potential to create successful businesses. In the Company of Women is more than an interview with 100 creative women. It is a look into what allowed them to step forward and bring their creativity into the world. It is also a look into how these successful women maintained their creativity while sustaining a business, something that is difficult for business owners of all types to do. Yet it’s something that’s also critical to maintain in a world where creativity is a strategic and financial asset. With beautiful photographs, In the Company of Women is a work of creative art in its own right, that provides inspiration, strategy and guidance for women who have the drive and discipline to transform their creativity from dream to a very real and sustainable reality. 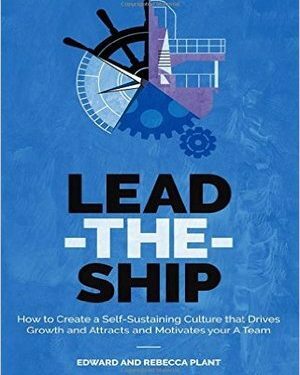 Written by a husband and wife team, Lead the Ship is a look at the difficulties organizations face when trying t achieve a sense of teamwork among employees. The book analyzes how leaders like Oprah Winfrey and Richard Branson completely revolutionized the way leadership was viewed. Because of their leadership, they were able to attract and maintain a culture of exceptional talent that helped them reach ever higher levels of performance. After analyzing those leaders, authors Edward and Richard Plant then help readers develop and refine a new vision of their leadership based on this expanded and redefined view, a view the authors say will allow them to achieve extremely high levels of productivity and financial success. From this point on, the book helps readers leverage the self-sustaining culture they co-create with their workers based on timeless principles and experience from high-performing teams like the military and many high-performing business brands. Hopping Over the Rabbit Hole talks about the subject that most small business owners don’t want to discuss — until it’s too lat. That topic, of course, is failure. 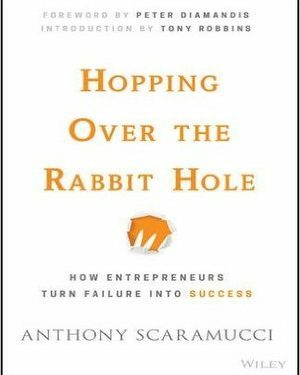 Anthony Scaramucci, the founder of a $12-billion investment services firm, helps business leaders find the practical value of leveraging failure for business gain. Hopping Over the Rabbit Hole encourages business owners to use smart strategies to transform their fears into lessons and opportunities for stronger relationships and more resilient leadership. Besides the advice for your business after encountering failure, Scaramucci spends a considerable amount of time on the business owner during his or her entrepreneurial journey out of failure into success. The book details how to maintain your personal integrity and values under the trials of leadership. Scaramucci also discusses defining and protecting your personal and business brand, and working through the network of relationships that helps your business achieve the success it deserves on the other side of failure. 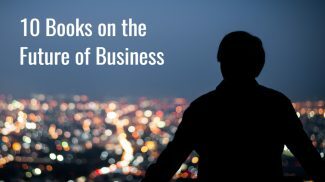 As these business startup books demonstrate, there are lots of issues and decisions to work through in your business, whether you plan to create a side business or a multi-national brand. No matter what type of business you ultimately decide to build, business ownership is about one thing, connecting with people to leverage their inner resources (talent, creativity, etc.) to transform a business dream into reality. By taking the time to really think through your business idea before launching it, you can move one step closer to creating the business you envision..
Now, there is no reason to keep stalling that business idea. We have all the resources at our fingertips. It is just a matter of acting. Charles: Which is your favorite book at the moment? I will write a post (in Swedish) and link to your post from the site on 1000 business ideas. I remember the days when I will spend days learning everything I can about running a business. I guess it is important to keep a learning mindset and to always be open to new information. What a great list. Thanks. I just hope that I find them. I appreciate a real book compared to electronic ones.